Get Your Tickets to Moshav at Chabad Midtown Today!! SHOW IS IN TWO DAYS!!! 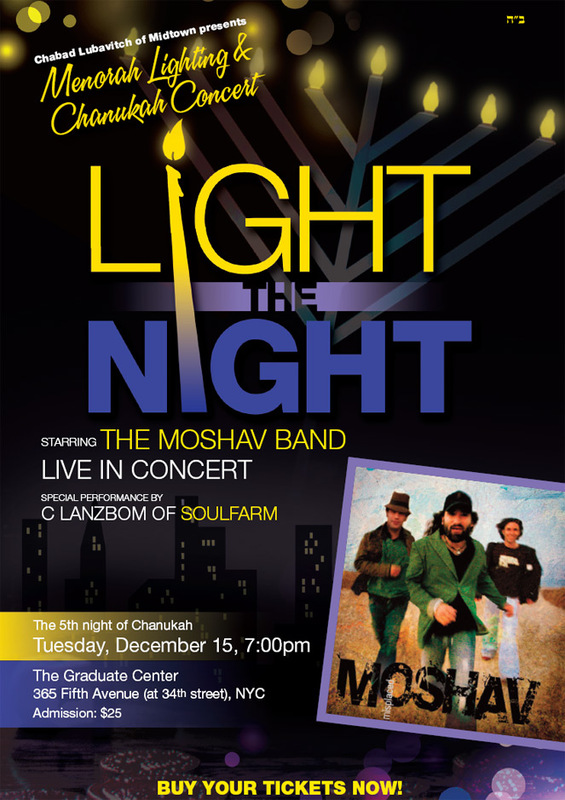 Join Chabad of Midtown for a Grand Menorah Lighting and Concert starring The Moshav Band and C. Lanzbom of Soulfarm! For more information please call 212-972-0770| Buy your tickets here! !